SemiWiki.com - New Media and the Semiconductor Ecosystem! 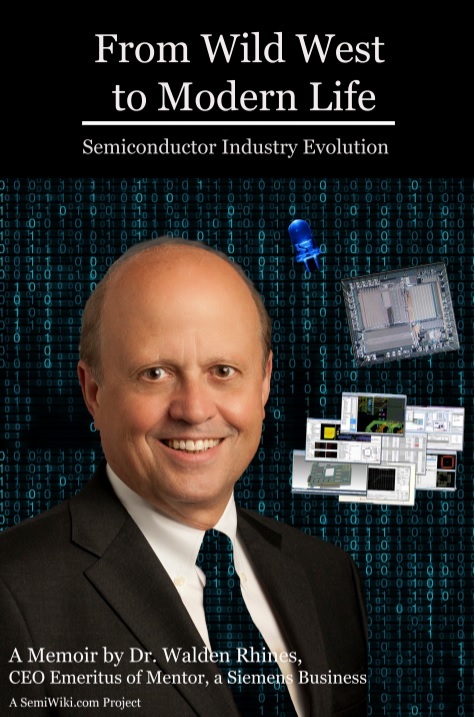 New Media and the Semiconductor Ecosystem! Gary Smith did a nice write-up on the current state of electronics media. It's posted on his Gary Smith EDA website. Traditional media certainly is in transition and there is more change to come, definitely. Gary lists me as one of the heroes carrying the flag which is very nice of him to say. In reality though, he missed Paul McLellan and Daniel Payne, who are also heroes of EDA media. A few years ago Paul, Daniel and I were simple bloggers writing when we had the time and inspiration. Daniel Payne’s DAC blogs document the history of DAC exhibitors and track their progress throughout the years. Paul’s collection of blogs in book form “EDA Graffiti” is the best read on EDA today. Hopefully my blogs on the fabless semiconductor ecosystem have been of benefit as well. New media refers to on-demand access to content any time, anywhere, on any digital device, as well as interactive user feedback, creative participation. Another aspect of new media is the real-time generation of new, unregulated content. To be clear, we are not editors, journalists, or analysts. We are bloggers, who, by definition, share our experience, observations, and opinions. By day we are consultants who help emerging technology companies with strategic business development, sales, and marketing activities. We also write white papers and business plans, moderate webinars and speak at conferences. At night we blog on SemiWiki which is very synergistic with our day jobs. I really like the term “New Media” as it best describes SemiWiki and what we are out to accomplish. Its called crowd sourcing. Paul, Daniel, and I were joined by Eric Esteve and Don Dingee, and other bloggers who have something semiconductor to say. The SemiWiki forums are open to all members who would like a bully pulpit, and not surprisingly, the SemiWiki calendar of events is one of the highest traffic spots for those who want to engage with the semiconductor ecosystem. SemiWiki uses a subscription based business model and currently has more than 40 subscribing companies. A SemiWiki subscription gets you our time and expertise on many aspects of your business. We help with messaging, branding, demand creation, and provide the resulting analytics to clearly document the new media ROI. Our subscribers are clearly listed in our legal / sponsor disclosure on the footer of each page per the FTC guide governing bloggers. I feel that a subscription model is a more level playing field and much more ethical than selling temporary advertisement space to the highest bidder and not attaching a revenue disclosure to the content it “inspired”. Not all content on SemiWiki relates to subscriptions, which is why subscribers have dedicated landing pages for all inspired content. As consultants, our reputations are our living so we are careful what we write. Our LinkedIn profiles are linked on the SemiWiki About page if you want to know more about our professional affiliations and work history. We do not do product endorsements. We do not do product testimonials. We are not shills. We write about technology and encourage our readers to investigate further and engage with the fabless semiconductor ecosystem. New media is all about transparency. As of today, according to Google Analytics, 670,438 people have visited SemiWiki since January 2011. As of right now 483 registered members and 8,243 guests are on SemiWiki. The SemiWiki global Alexa Traffic Rank is 466,518, the U.S. traffic rank is 222,310, with 448 sites linking to SemiWiki. The founding father of EDA New Media, DeepChip.com, is ranked 1,384,829 global and 407,288 U.S. with 154 linking sites. Alexa is owned by Amazon so they know traffic. Interestingly, the FaceBook Alexa traffic rank is #1 global and #2 U.S., Google is #2 and #1, and Amazon is #6 and #5 respectively. Traditional media is all but dead, long live new media! The other trend Gary pointed out is vendors hiring editors: Richard Goering works for Cadence, Michael Santarini works for Xilinx, Ron Wilson works for Altera, etc.... This is definitely a nail in the traditional media coffin and a big win for New Media, absolutely.